WHO CAN TAKE THIS MAKE UP CLASS? Professional product recommendation for your skin type. You are welcome to bring along your own make up bag and brushes that you use so on the evening we can go through what is suitable for your skin type & what may not be! Course Duration: 1 Evening 7pm-9.30pm/10pm. The perfect gift for a birthday, anniversary, valentine’s or any occasion for the lady in your life ! As a make-up artist I love working with the fashion industry. Make up trends and styles are forever changing with new fabulous looks and techniques, so with this we are always learning new make-up styles. If you and/or your friends are interested in getting together and learning all they can about what make up is right for your skin type, advice about colours and shades that suit your skin tone, the correct application method and becoming trained in using materials and colours to the best of your ability, then I can guide you to do so. 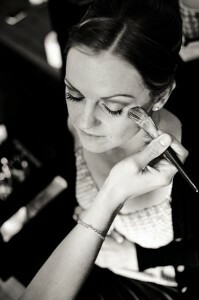 I can train and teach people the skills to become their very own make-up artist! If you need information on Individual or Group classes please call or email me. Also as I am a freelance make-up artist there may be travel expenses.